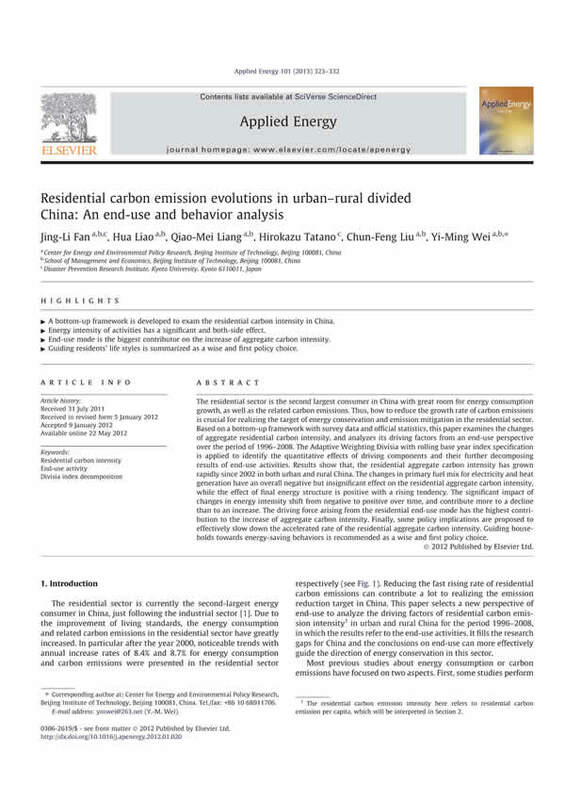 Residential carbon emission evolutions in urban–rural divided China: An end-use and behavior analysis, J.L. Fan, H. Liao, Q.M. Liang, H. Tatano, C.F. Liu, Y.-M. Wei. 2013.